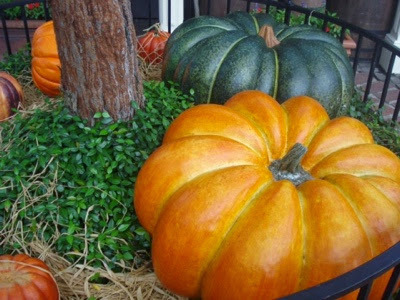 Orlando Visitor: Family Halloween Fun and Pumpkin Picking! Orlando Florida. Family Halloween Fun and Pumpkin Picking! Orlando Florida. October is a very popular time in and around Orlando, with many Halloween events taking place and celebrations at the Theme parks. If you have small children and want a little break from the busyness of the theme parks for just a few hours, and want a fun Halloween experience that is pumpkin and animal themed, not far from the 'Parks' in Kissimmee there is Green Meadows Petting Farm. Here you will find a delightful haven where children are able to pick a pumpkin, interact with the farm animals and learn about their environment. Take a ride on the tractor driven hay-ride or train, enjoy a pony ride, milk a cow, pet the baby animals, watch the ducks and fish, learn about pigs, sheep, goats and more. Also about 45 minutes drive away from Kissimmee is the Pumpkins and Ponies Festival 2014. Saturday and Sunday October 25th-26th a day of family fun, with Hay Rides, pumpkin patch, pony rides etc. At the Painted Oaks Academy, 15100 Lake Pickett Road, Orlando Fl. 32820.